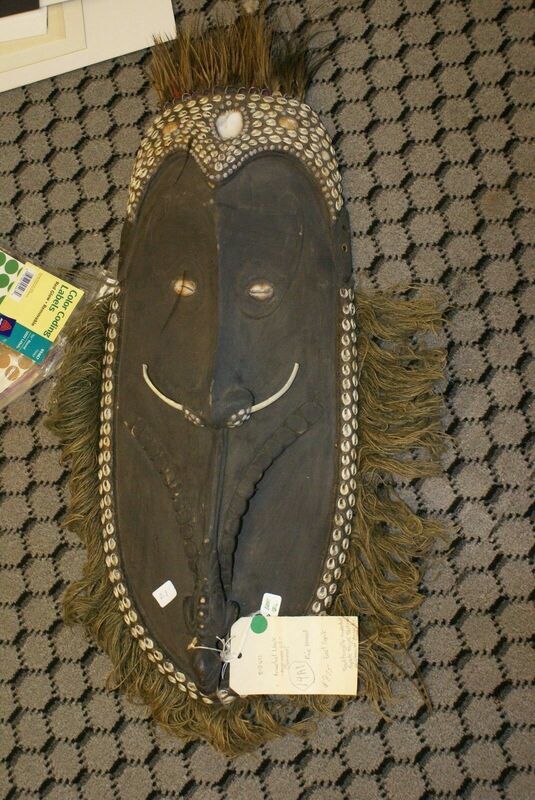 Item 14A1 in our inventory and 1/2 priced: Large Older hand carved tribal mask representing an ancestor and kept in the men's house to protect its occupants. Nose morphing into a crocodile. 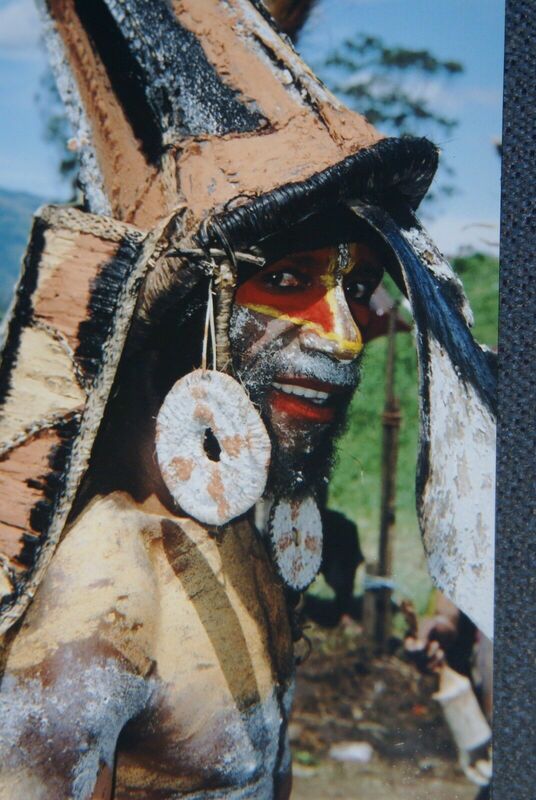 Angriman Village, Sepik River Papua New Guinea. 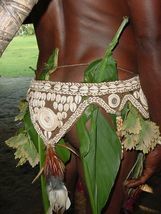 collected on the premises. 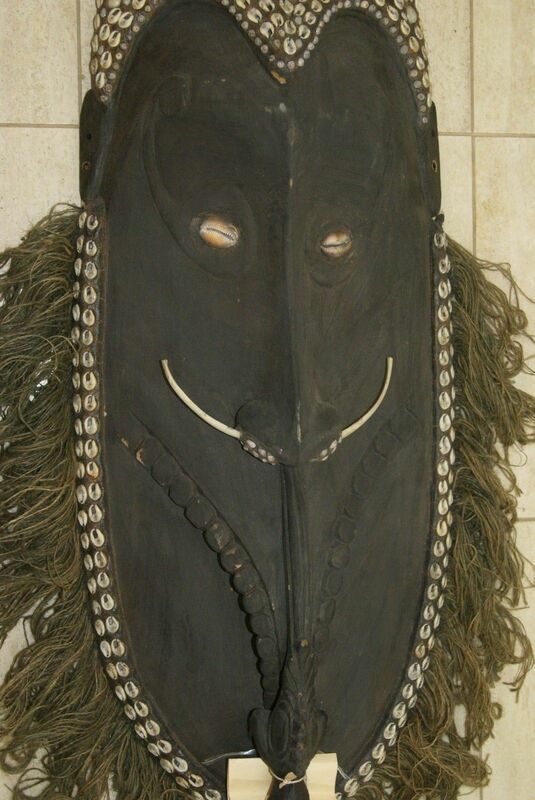 Scarce Clan Spirit Ancestor Mask Figure from the East Sepik River area, Papua New Guinea. 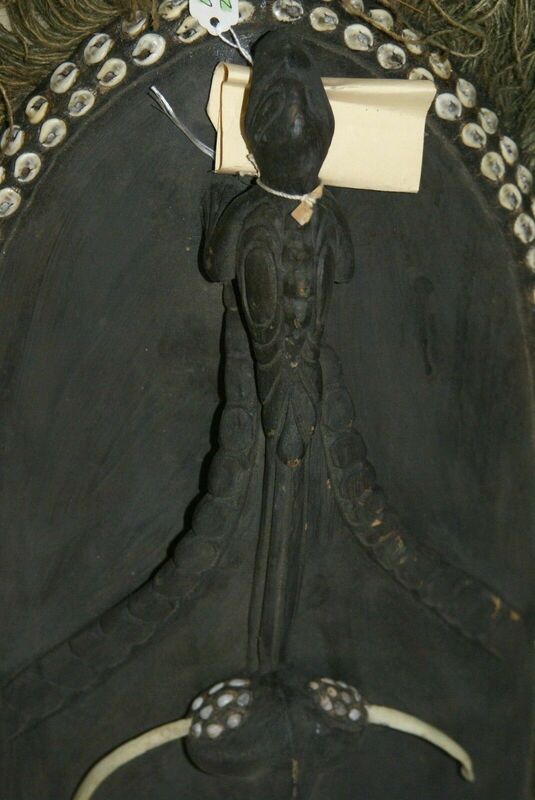 Such a hand carved wood mask figure was not worn but hung in the men's house or haus tambaran and used in time of sickness and to battle sorcery. 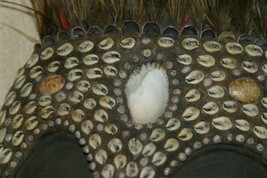 Many shells decorate the forehead embedded in a river mud and natural gum paste compound, with cassowary feathers as an ornate head piece, and as seen on the warriors during ceremonies. 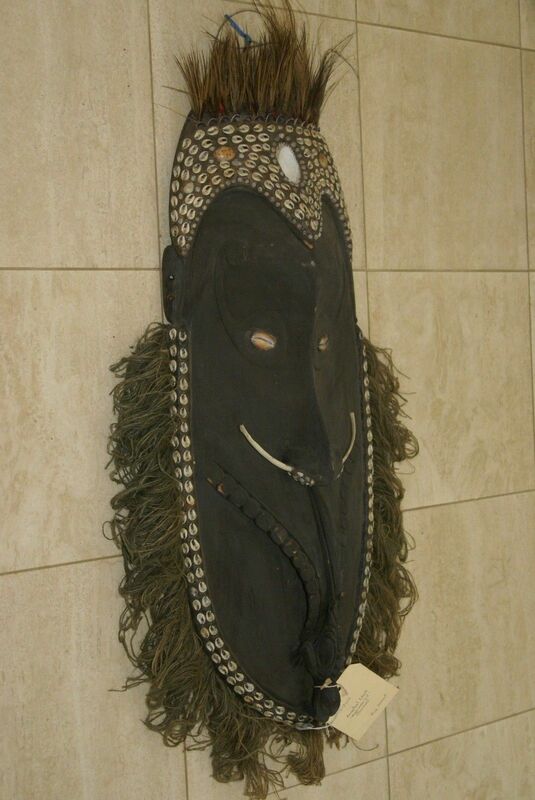 There are fringes of hand twisted natural bark rope twine all around this elongated and large mask as an additional decoration and eyes are made out of carved in nassa shells. 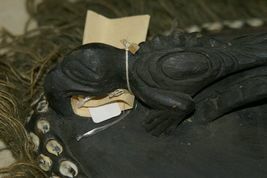 It was hand carved with primitive tools and decorated with material made from natural sources, tusks are made out of animal rib bone. 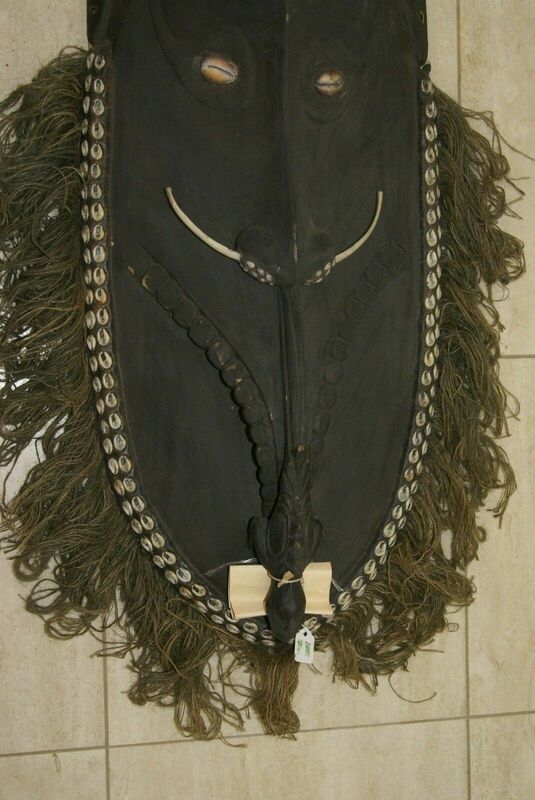 Around 43" X 19" with all the decorations and around and 30” x 13” for just the wooden part. 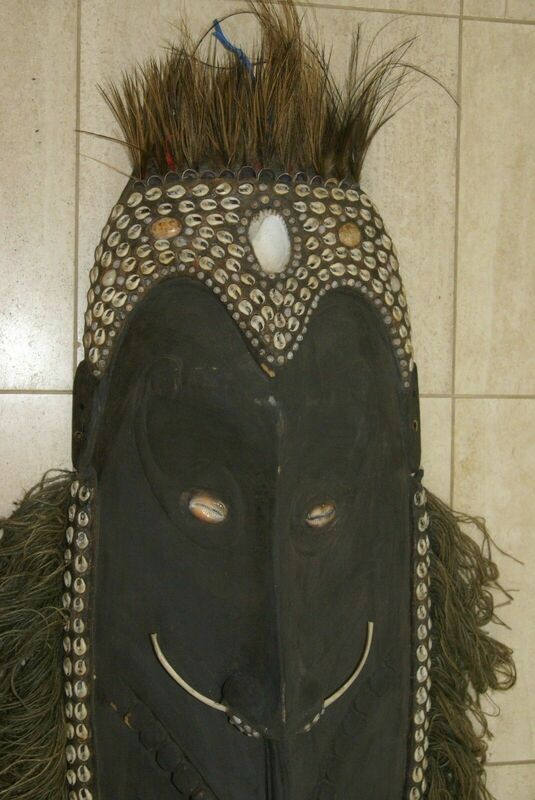 Shipping this out of pocket is very high for us so please no low offers This is a ritually used piece and would have hung in a men’s house during ceremonies to direct and advise the tribe and bring good luck, and why it does not have hollow eyes as the masks worn on costumes do. 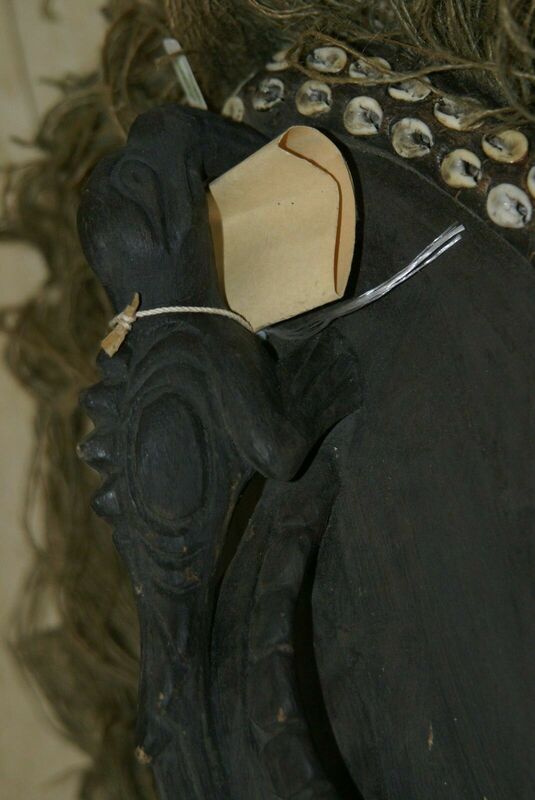 If a village or clan has a lot of bad luck, such as many deaths, the whole group may change their names and buy the rights to use masks from another clan in a different village in an attempt to fool the bad spirits or sorcerers. 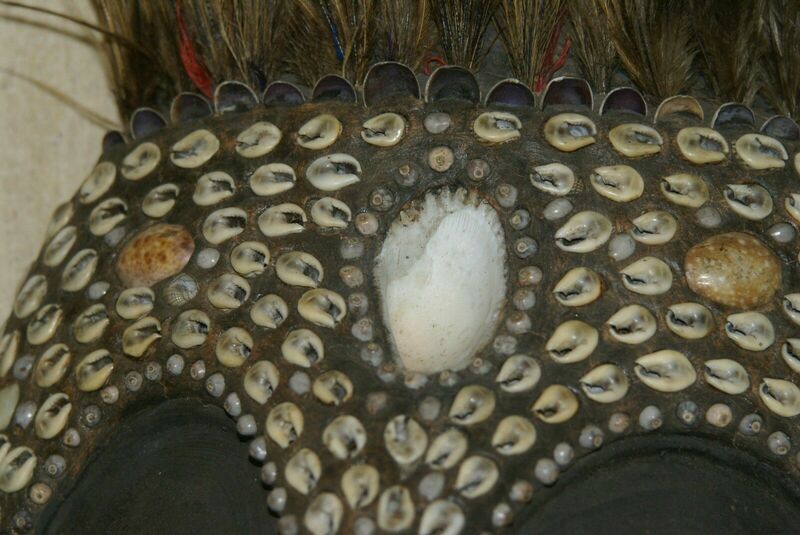 The resulting masks usually display characteristics of both groups. 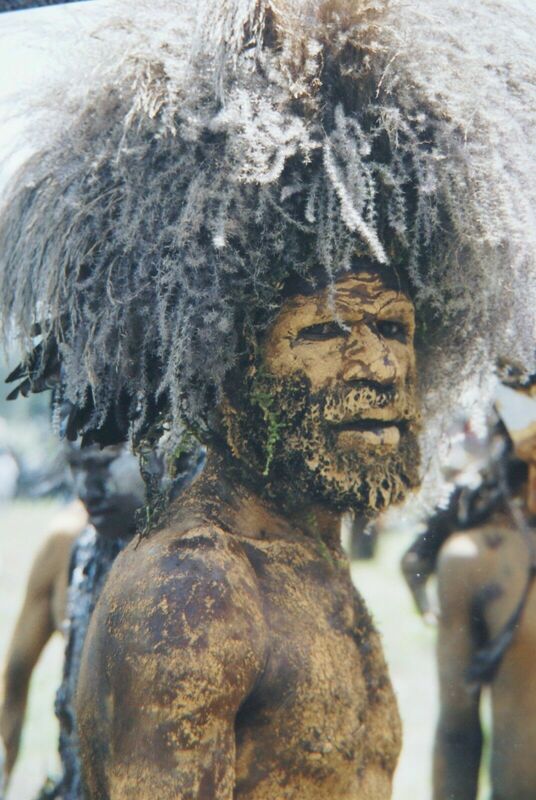 We go straight to the source to find these treasures. All our collector and rare items come with pages and pages of research about provenance, and with history of the tribes and photos as well, depending on item and whenever possible. When shipping internationally, we group ship multiple purchases to save you money, and find the best rates available. 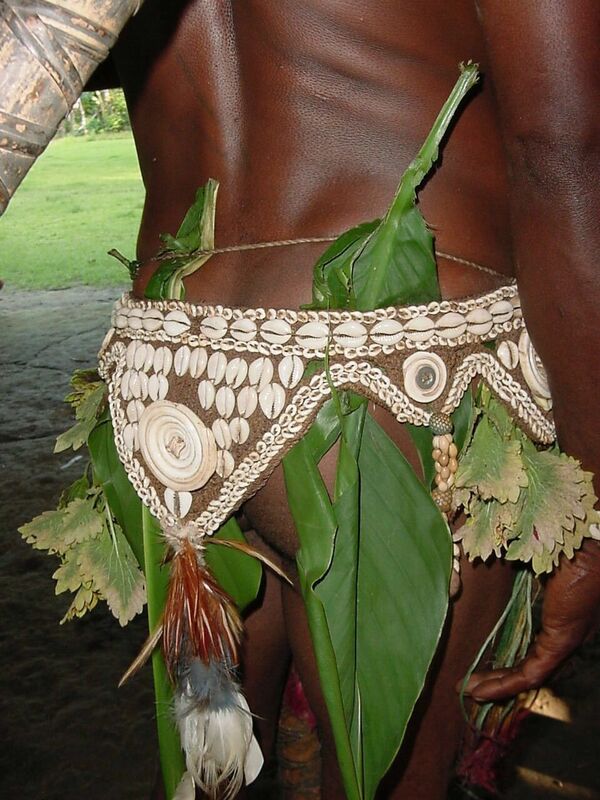 If you have any questions or want to see research conducted on this piece and photos of tribes, tell us.